Step 1. 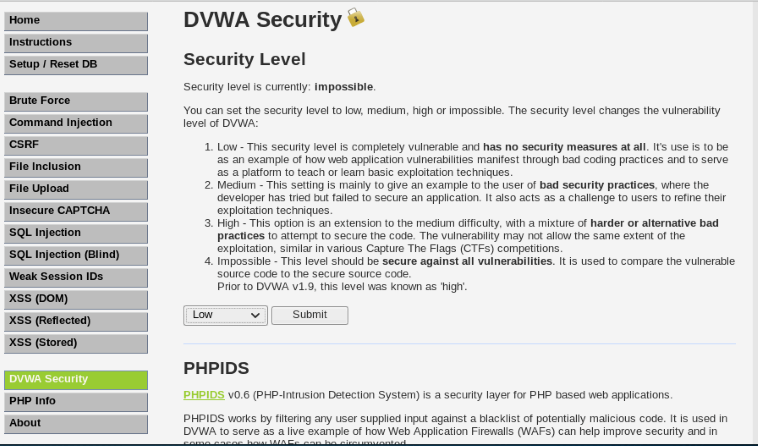 In order to ensure that the application is vulnerable to command execution we can try a simple command. 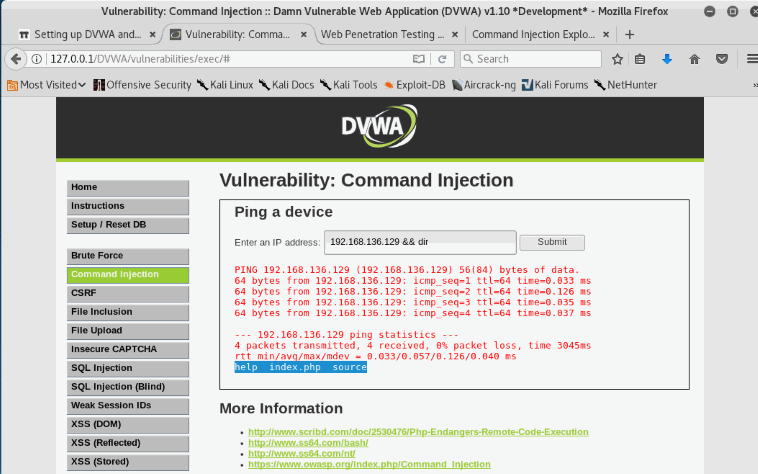 command injection is a technique used via a web interface in order to execute OS commands on a web server. 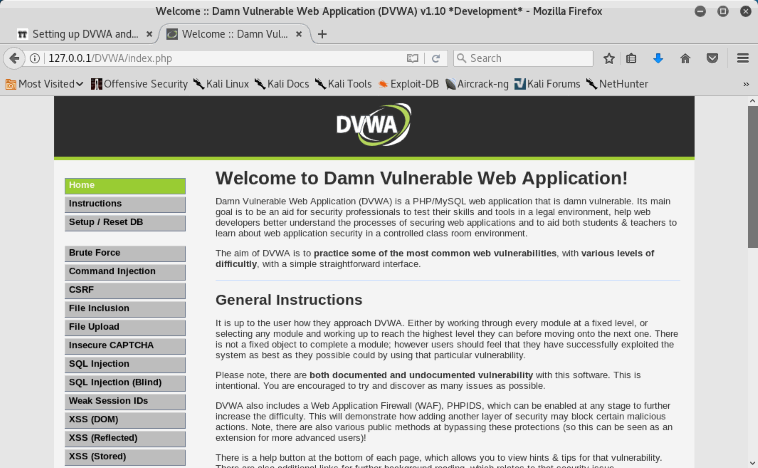 By using this Damn Vulnerable Web Application (DVWA), it is very easy to find and exploit a command injection vulnerability in a certain vulnerable parameter or string. Step 3. Firstly,get your target I.P Address. 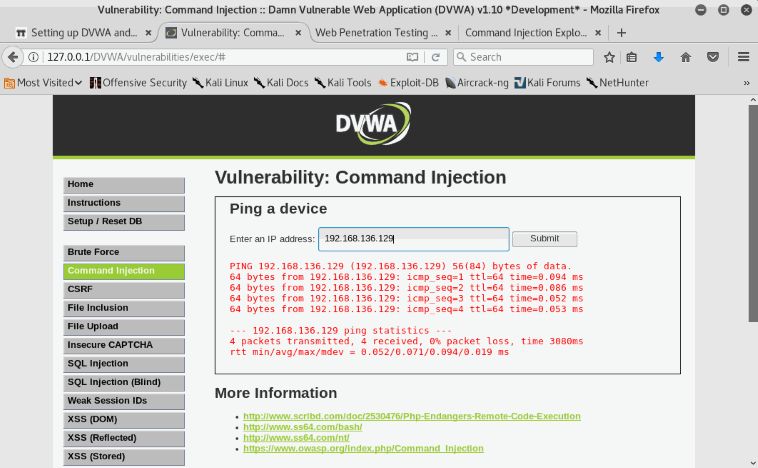 Here i am using own I.P Address as a target.Type ifconfig in your kali linux terminal. 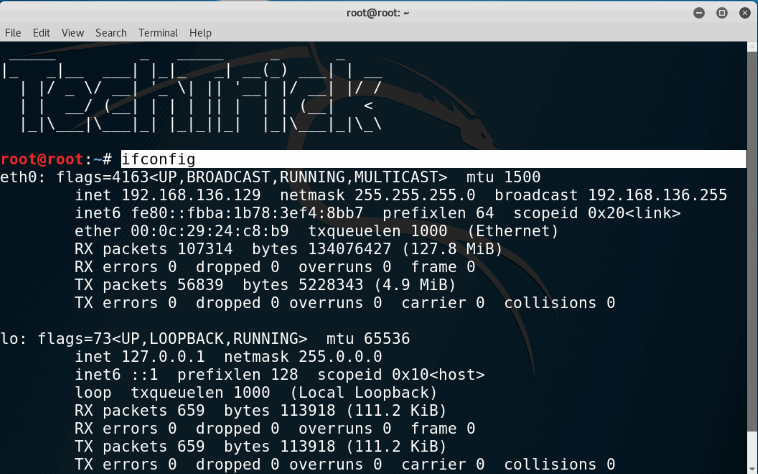 Now you can see the reply that tells us that we have establish a connection with the server.